Dr. Norman San Agustin, MD, is a Founding Member of Morris County Aftercare Center (MCAC) which celebrated its 33 years of service to our community last year. Currently the Medical Director, Dr. San Agustin was also the Past Chairman of the Board of Trustees of MCAC. 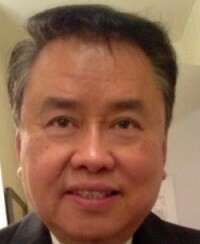 Dr. San Agustin holds other important positions as the Director & Founder of the Morristown Surgical Associates, Director of the Nikki San Agustin Cancer Care, President, Nikki San Agustin Foundation, Medical Director, Villa Walsh Academy, Member, Board of Trustees, Saint Clare’s Hospital Foundation, and held various positions as the Police Surgeon, New Jersey State Police, President, Philippine American Medical Society of New Jersey, Director, Comprehensive Cancer Program, Saint Clare’s Hospital, Medical Director, Breast Health Center at Saint Clare’s Hospital, Vice President & Member, Board of Trustees, De La Salle Alumni Association. Several outstanding awards include the Marcella Dunn McDonald Award for Competence in Surgery and Interest in Community Health Services, Norwalk Hospital, Connecticut, 1976; TheYoichi Katsubi Award for Outstanding Interest and Competence in Surgical Services, Norwalk Hospital, Connecticut, 1976; Leadership Award, New York Jaycees; Best Doctors 2009 – 2010; Top Surgeons 2008; 30-Year Service Award, Morristown Medical Center in 2008; 20-Year Service Award, Saint Clare’s Hospital, 2010. Dr. Norman San Agustin, together with the past President & Executive Director of MCAC, Elmer Romero, a former Jesuit priest, built the agency with compassion and determination to provide medication-assisted treatment for our addicted, our poor, and marginalized.